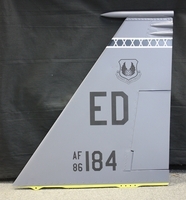 Panel size: 14" x 30"
On 14 October 1947 at 10.22 am, Captain Yeager flew the Bell X-1 at a speed of 670 mph (Mach 1.06) breaking the sound barrier for the first time in human history. 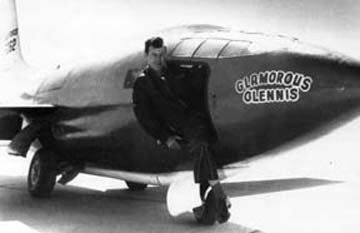 Yeager christened the first X-1 "Glamorous Glennis" after his wife, as was his P-51 in WWII. There was an earlier version of the artwork. 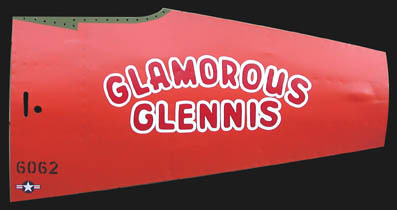 This panel represents the one he flew on his historic flight.